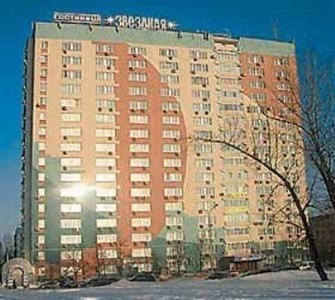 The Zvezdnaya Hotel Moscow is located in the northern part of the city and is a roughly 20-minute drive from the city center. Within a very short distance of the hotel is the Museum of Cosmonautics, the All-Russia Exhibition Center and the Ostankino Estate Museum. There is a train station located about 1 and a half miles from the hotel. /moscow/usefulinfo/6182191/airportsSheremeteyevo airport is located approximately 16 miles from the Zvezdnaya Hotel Moscow and receives international flights. The rooms at the Zvezdnaya Hotel Moscow feature modern décor and several options. One may choose from a standard guestroom, a junior suite or a full suite. The Zvezdnaya Hotel Moscow features modern conveniences and luxuries suitable for business or pleasure travelers. There is a restaurant onsite. There is also a bar where guests may enjoy a drink and socialize. A business center is available to those who arrive on work-related travel. There is a sauna onsite, as well, where guests may unwind.